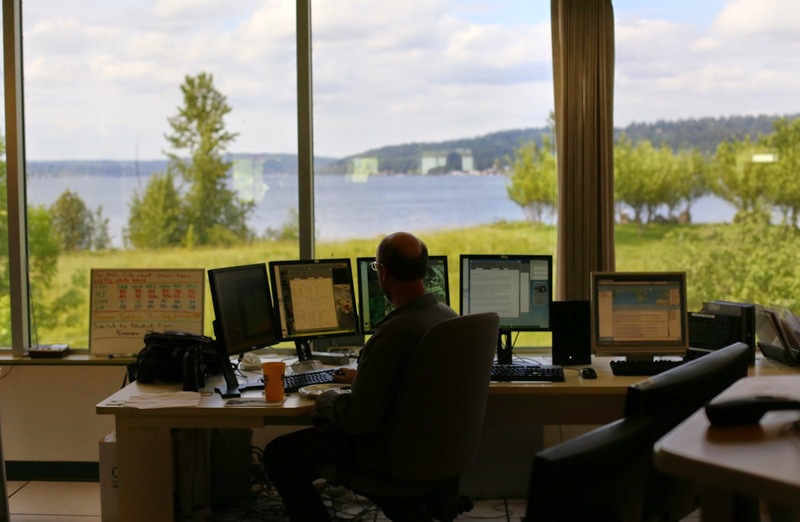 The National Weather Service has numerous local forecasting centers, and the forecasts for Seattle are prepared here at NOAA Sand Point. This is the meteorologist on shift, and he just finished typing the afternoon text forecast. I wonder if the view over Lake Washington is a bit distracting? Alternatively, the view might provide a small sanity check against the soon-to-be-released forecast.